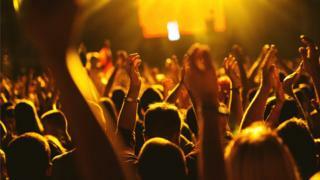 Cardiff will be declared a 'Music City' on Thursday as the Welsh capital steps up efforts to protect its music scene. The move is also aimed at boosting the city's international profile and helping it to attract more visitors. It follows a successful recent grassroots campaign to protect one of Cardiff's live music hubs, Womanby Street. Plans for flats had threatened the future of music venues in the street until they were withdrawn in September. Thousands of people joined local politicians in supporting the Save Womanby Street campaign. There were concerns a new residential development would result in noise complaints and reduced opening hours. "Wales is known as a land of song but in Cardiff we've got such great talent. We've got great clubs and we've just got to make the most of it," Jo Stevens, Labour MP for Cardiff Central told the BBC's Good Morning Wales programme. "It's about creating new venues. But it's also about looking at the venues that we've got, protecting and enhancing them," she said. Cardiff Council will work with Sound Diplomacy, which advises on how to increase the value of music in cities, and Cardiff's music sector. "Our work with Sound Diplomacy will go a long way towards protecting the future of music in Cardiff, but it will also go further, harnessing the power of the city's musical past, and its future, to help drive regeneration, strengthen communities and benefit the economy," council leader Huw Thomas said in a statement. Sound Diplomacy has carried out similar work in London, Barcelona and New York. Welsh musician Tumi, lead of the Welsh based funk band Afro Cluster, told the programme that the Welsh capital needed the kind of support the council was now committing to. "We are missing those venues that support local bands - the 4,000 (capacity) mark as well as the 500, 600 mark," he said. The launch will be marked on Thursday evening with speeches by local politicians and supporters of the Save Womanby Street campaign followed by free gigs in some of the venues on the street.